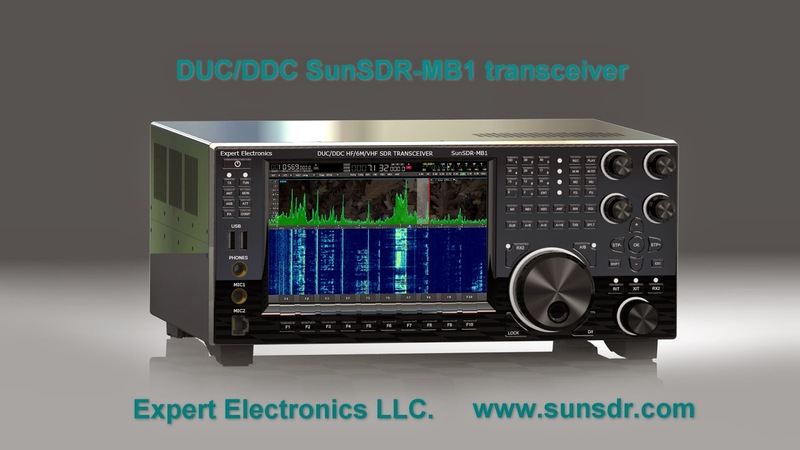 Expert Electronics’ SunSDR-MB1 is what I’ve been expecting from the amateur radio industry for some time: a transceiver using modern technology, with a proper user interface, good interconectivity and decent power output. 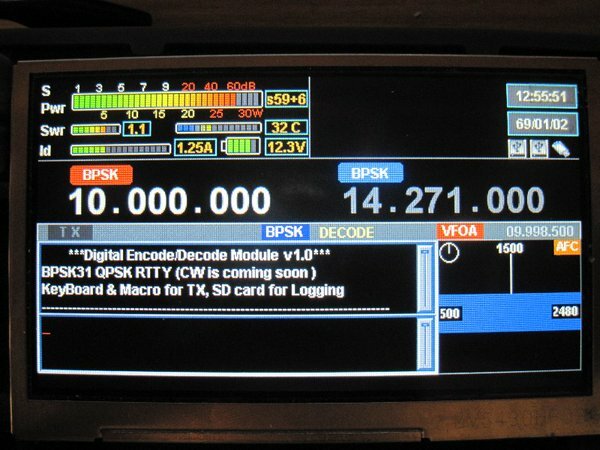 Once again we can see the smaller manufacturers are way ahead of the curve compared to the big three (namely Yaesu, Icom, Kenwood), wich are beating it around the bush by trying to force useless commercial technologies to amateurs (yes I’m looking at you Icom ID-5100A). 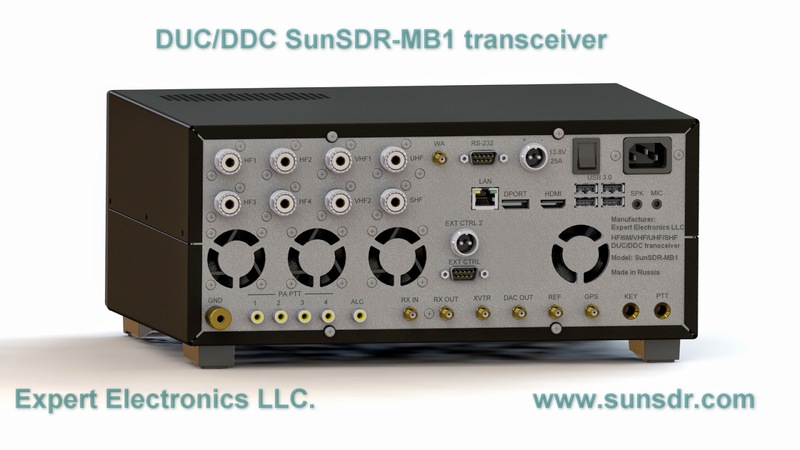 The SunSDR-MB1 is a direct conversion SDR transceiver, fully standalone, offering 125W output, a huge (and more importantly, working – yes I’m looking at you Kenwood TS-990) spectrum display and a plethora of buttons that will make the most avid anti-menu-driven-equipment fanatic rejoyce. The screen is also touch-sensitive, I don’t find that particularly useful but at least they’re implementing modern stuff. Supported OS: Windows All versions, Linux, in future MAC OS. 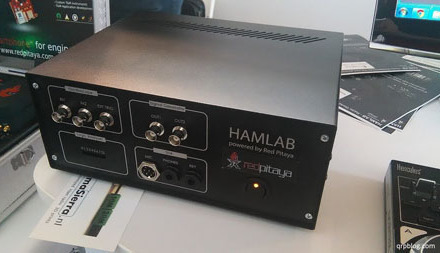 High dynamic range of receiver: up to 120dB in the HF, and up to 116dB in the VHF. External control 2 port for Stealth Antenna 9310. PTT output ports for external PA control(RCA x4). USB 3.0 connectors (x4 + x2 on front panel). Speaker/headphones connector from embedded PC’s sound card(3.5 mm Jack). Microphone connector from embedded PC’s sound card(3.5 mm Jack). 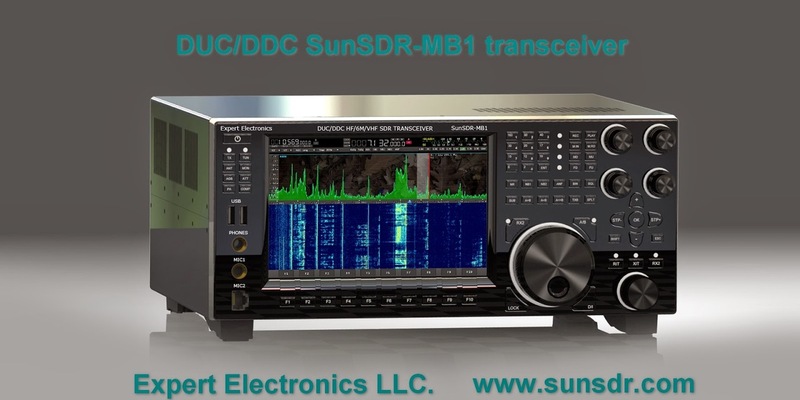 Special for SunSDR-MB1 will be developed an ExpertSDR2 software version with adapted GUI. Pricing is expected to be around US$ 4300 (available by the end of the year), with another US$ 200 for the optional ATU; to be honest, if it comes out at this price it will be a fantastic deal and it will probably be a market hit, but I have a hunch it will end up in retail around US$ 6000 or so. I've seen working version of this on various websites and YouTube. I love the idea of it, it's like having the FlexRadio 6300 or higher with the Maestro all in one, however I prefer the mobility of the Maestro. Looks like it's hovering around $5400.00 right now.